Start your free, no-risk, 4 week trial! At the moment, Google is by far the most popular internet search engine in the world. At the time of writing, Yahoo is the second largest, it takes over a majority of remaining smaller engines (Inktomi.com, Altavista.com, fastsearch.com, alltheweb.com, etc.) through its acquisition of Overture. Bing is the 3rd player, and is currently developing their own search engine that will produce independent results. Numerous big players like Yahoo, Hotbot, AOL, and Netscape use Google engine and indexes. Most services offer the bare minimum, a counter, for free. If you wish to learn about your traffic in any detail, an upgrade and payment is necessary. The word “PageRank” means a system for ranking web pages. Links from any page (internal or external) to your site (primarily your homepage) are called backlinks. Additionally, Google looks at more than the sheer volume of votes, or backlinks, a page receives; it also analyzes the page that casts the vote. Pages that are themselves ‘important’ weigh more heavily cast votes and help to make other pages ‘important’. To find out what your site’s PageRank is, you can download a tool . To check your backlinks, try typing ‘link:www.yoursite.com’ (without the ‘ marks) in the search box. The above excerpts are taken from an article that was posted by Google, which provides additional background information on PageRank. Check if your site is in the Google database. If your site is new or you are still building the site, add your site as soon as possible. It can take up to a month to see your site turn up in Google. This is a rough estimate, as the time period is steadily diminishing. You will turn up much quicker if you are linked to a site which is frequently ‘spidered’ by Googlebots; little robot-scripts that index the internet page-by-page. These robots, which search engines send out, are variously called ‘spiders’, ‘bots’, ‘crawlers’, etc. Google spiders in particular are called Googlebots. There are different types of bots. A freshbot, for example, visits you on a regular basis if you make frequent updates. The advantage of being visited by freshbots is that your updates can appear in Google on a daily basis: something of a positive version of catch-22. The more content you add, the more often you are visited. This leads to the importance of adding content. This is discussed in detail below. 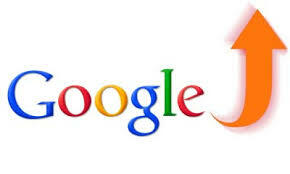 If you have a link from a site that is often visited by a googlebot, then you can appear in Google within 24 hours. To determine if your site has recently been visited by a freshbot, do a search on Google for your site URL. Freshtags, which indicate the recent passage of a freshbot, will appear in the search results as a recent date (shown just below the single line of site description). They are not rare, however, like clouds, on some days there are none in the sky. Find link-exchange partners and check their PageRank, a link from a site with a high PageRank is better than one with an low PageRank. The case has been made that linking to a site that has no PageRank will keep your rank down. This is called linking to a ‘bad neighborhood’. Your site will be visited by Googlebots if you establish one or more links from other indexed sites to yours. All these items are of great importance because they should contain your important search keywords. This is an important conceptual hurdle. The entire internet revolves around the choice of individual words. This process is constantly being refined. It is essential that you are Spartan and accurate whenever choosing your descriptive terminology: words. Try and put yourself in the minds of the people who will be looking for your site. What are the one or two words that they will focus on? Make sure your title contains your most important search keywords. Do not make your titles longer than 80 characters (more can be considered as spamming). Google does not index your meta ‘keywords’ tag but it does index your meta ‘description’ tag. Make sure your description contains your most important search keywords. Make sure your text contains your most important search keywords. More importantly, the pages should focus on your subject, service, product, or area of interest. Put your most important keywords once in your headers, a couple of times in your paragraphs, once in bold once in italic, in your image alt tags, your image names, your url’s, etc. Make sure the Googlebot can find its way through your site. One thing Googlebots find hard to follow is framesets. or hidden section where your text and links are located. Adding a sitemap can do wonders for letting Google index your entire site. Tip: if you have a button on your website that takes you back to the homepage, link it to your domain name (www.yoursite.com) instead of a page called home.html or index.html. Google doesn’t recognize the difference between outbound or inbound backlinks. Content: update your content as frequently as possible. The more often you update your content, the more often freshbots will visit your site. Try to add a page a day if possible. The content you generate should be of high quality. Try to find every angle from which you can discuss or describe the subject your site is about. The point is not to generate poor quality or duplicate material. Duplicate pages will lead to penalization. The point is that Google, for example, loves content. It is a question of scale. Think of the old adage ‘an apple a day will keep the doctor away’. In this case it can be revised: ‘a page a day will send Google your way’. More content, more spider visits, more human visitors, more readers, more pages, etc. All this will contribute towards strengthening your PageRank and realising a higher position in Google search results. This will lead to more traffic. Please keep in mind that the above tips, suggestions, and ideas are based on our experiences managing Opentracker. This information is subject to change on a daily basis. Show me all Single Girls using my App on an iPhone. Why do I need a website tracker? Examples of Business Models based on Innovate Technology. Opentracker has more than 10 years experience in tracking, data analytics and statistics innovation. Our hallmark is simple, intuitive, and easy-to-read reporting interfaces, combined with powerful and flexible APIs. What is a website tracking system? Want some quick and easy tips on how to market your site? Sign up to our newsletter and stay up to date. *Please check your mail in a few minutes for the confirmation email and click on the link.